Leona was born in Winnipeg, one of twin girls, in 1947. The family moved to Edmonton when she was 9 years old. 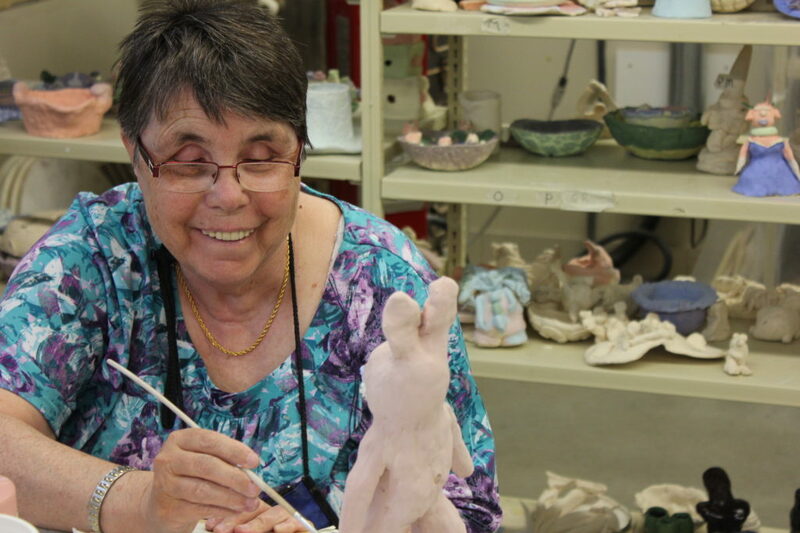 Leona credits her mother, an art teacher, with cultivating her early interest in art. Initially a way to relax, she now sees art as her career and an important part of who she is. A key participant in a project involving art and human rights, Leona and her art were featured in an exhibition, art publication and documentary film. The highlight for her was an invitation to travel to Rideau Hall in Ottawa where she met with His Excellency John Ralston Saul.